Obituary – Cockrum, Ronye Christian “Chris” « Perry High School Alumni Association, Inc.
﻿Band 57-58; Football 58-60; Wrestling 58-59; Teen Town Council 57-59; Sophomore Assembly 57-58; Junior Rotarian 59-60; Teen Town Mayor 59-60; Junior Play 58-59; Senior Play 59-60; Annual King Attendant 57-58; Home Room President 59-60; Boys’ State 59-60; M.C. of Sophomore Assembly 57-58; All School Revue 57-58. Ronye Christian (Chris) Cockrum was born Feb. 14, 1942. He died peacefully in his sleep on May 18, 1999. A memorial service is planned for 2 p.m. Thursday, May, 20, 1999, at First United Methodist Church, Perry. Rev. Mark Barnett, Hinton, and Rev. Travis Hopper, Okeene, both formerly of Perry, will co-officiate. 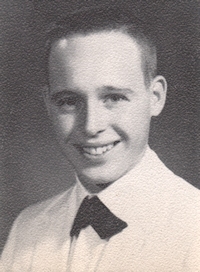 After graduating from Perry High School in 1960, Chris attended Central State College and received a degree in chemistry in 1965. 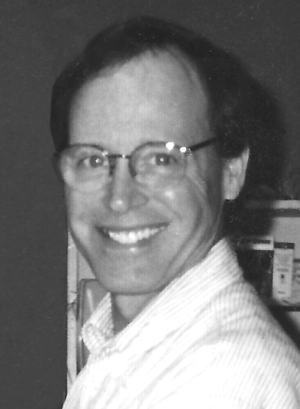 He received a degree in pharmacy from the University of Oklahoma in 1968. He purchased Bontrager’s Drug in Perry from A. J. Bontrager in 1973, renaming it Chris’ Pharmacy and taking great pride in providing excellent health services for the Perry community. Chris and Earline Snyder were married June 11, 1966. They had three children: Paul, April and Emerald. The best description for Chris is faithful. He was faithful to his family… a loving son, a wonderful husband, great dad and proud grandfather. In 1998, Chris purchased a Harley-Davidson motorcycle. He bought one for Earline a few months later. The couple often could be seen tooling around Perry streets and taking cycling trips around the state. He was faithful to his church. He served on the Administrative Board and the Board of Trustees of the First United Methodist Church where, in recent years, he managed the sound system. He was faithful to his customers. His creed was, “I treat people as I want to be treated.” Children often came into the pharmacy and cornered him at church to challenge Chris in a thumb-wrestling match. He was faithful to his 1958 Chevrolet Impala. Chris began working in his dad’s gas station when he was only nine, saving money until he was 16 and could purchase the black beauty. The car has been a winner in recent car shows. Chris was a member of the Late Great Chevy Club. Chris was faithful to his Lord. He was a man who would give anything to someone who needed it. He gave friendship and love to everyone he met. His memory will live on through his family, friends and the Lord Jesus Christ. He will be missed but never forgotten. Chris is survived by his wife, Earline; son, Paul and his wife Shelly and their three children, Carley, Clay and Curt of Fort Worth; daughters, April Sewell and her husband Cody, and their daughter, Skylar, Perry, and Emerald, of the home; his parents, Alvin and Dorothy Cockrum, Perry, his grandmother; Dinah Chaney, Perry; one brother, Randy and his wife Sandy, Perry; sisters-in-law, Brenda Horn, Perry, and Berniece Snyder, Ponca City; many nieces and nephews, his employees, many loyal customers and good friends. Viewing will only be at Brown-Sisson Funeral Home. The casket will be closed during the service. Burial will be in McGuire Cemetery at Lucien under the direction of Brown-Sisson Funeral Home. Pallbearers are Jerry Scholz, Ken Schuermann, Curtis Culver, Ron Payne, Vernon Hopper, Randy Bluethman, Dr. Bryan Chrz, Mike Shannon and Charles Wise. Honorary pallbearers are Dr. Charles Martin, Dr. Michael Hartwig, Wally Schieffer, Gene Goley and Art Hamby. The family has suggested memorials be made to Special CARE, Inc., 3105 Sunset Blvd., Oklahoma City, OK 73120 in memory of Chris Cockrum, uncle of Bryan Christian Chavez, son of Candye Chavez., Little Light House, Inc., 5120 East 36th Tulsa, OK 74135, in memory of Chris Cockrum, great uncle of Kenzie Burnside; or the United Methodist Boys Ranch, P.O. Box 999, Gove, OK 74435, in memory of Chris Cockrum, for underprivileged boys. Memorials may be made in care of Brown-Sisson Funeral Home.